Based on the recent data, supplies of homes in Toronto Area remain tight. For those who intend to find their homes in Spring, we have a few new and upcoming low-rise listings in the popular Cathedraltown, South Unionville and Wismer. 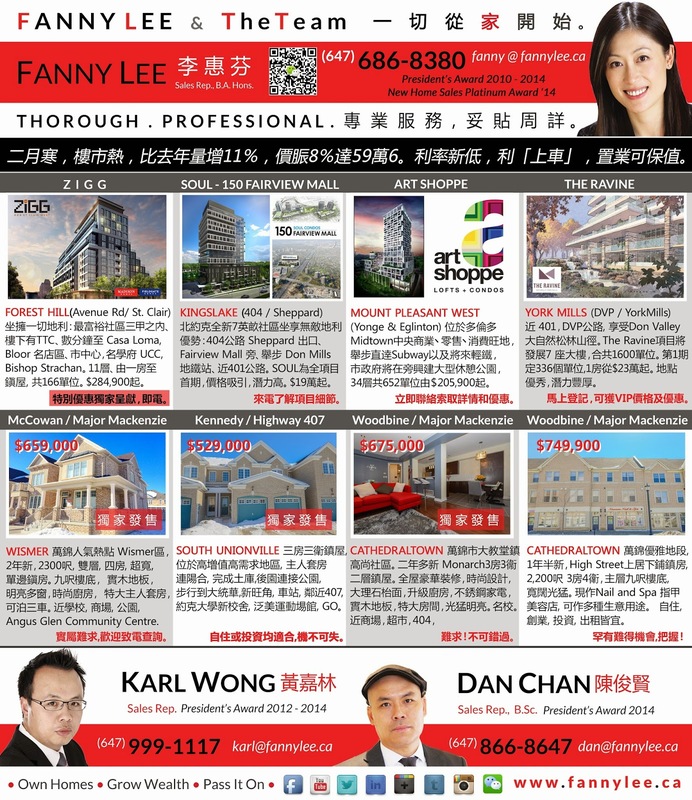 In addition, we would also like to draw your attention to a number of excellent high rise condominium projects: ZIGG iin Forest Hill, SOUL (& CONNECT) next to Fairview Mall, ART SHOPPE at Yonge / Eglinton and THE RAVINE project in York Mills. Contact us for further information or connect with us to stay updated.